Translation, that is biosynthesis of polypeptides in accordance with information encoded in the genome, is one of the most important processes in the living cell, and it has been in the spotlight of international research for many years. The mechanisms of protein biosynthesis in bacteria and in the eukaryotic cytoplasm are now understood in great detail. However, significantly less is known about translation in eukaryotic mitochondria, which is characterized by a number of unusual features. In this review, we summarize current knowledge about mitochondrial translation in different organisms while paying special attention to the aspects of this process that differ from cytoplasmic protein biosynthesis. 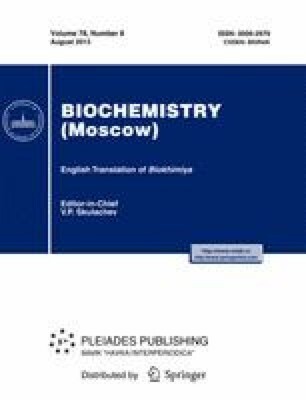 Published in Russian in Biokhimiya, 2013, Vol. 78, No. 8, pp. 1093–1107.